Why do we idolize Jewish baseball players? It’s difficult to say which was the more significant event: when Detroit Tiger’s star Hank Greenberg sat out a game on Yom Kippur during a heated 1934 pennant race, or when Edgar Guest penned a famous rhyme to commemorate the occurrence. As Greenberg wrote in his autobiography, he was “probably the only batter in the lineup who was not in a slump” at the time. The Detroit Tigers had gone a quarter century since their last pennant, and fans grumbled when Hammerin’ Hank declared he would not play on Rosh Hashanah. After consulting with his rabbi, who ruled that Rosh Hashanah was a “festive holiday” and playing would be permitted, Greenberg relented and suited up. He hit two home runs that day, including one in the ninth inning that won the game, but he stuck to his guns when it came to Yom Kippur. “Suppose I stay out of the game and we lost the pennant by one game,” quipped the slugger. It was not a small act on the part of a Jewish player in an era when Jews faced rampant anti-Semitism, and to say the pride of Jewish fans across the country swelled would be an understatement. The question of why American Jews have been so enamored of Jewish sports figures, particularly Jewish baseball players, can begin to be answered in that final verse. Guest was not entirely unlike the masses of American Jews who cheered Greenberg–and later Sandy Koufax, Art Shamsky, Shawn Green, and so many others. He was an immigrant, coming to the shores of America looking for a better life, but whereas Guest found himself part of the larger religious majority, a white man from England, Jewish Americans faced a more uncertain place in the religious and ethnic landscape. In the 1920s, just a few miles from where Greenberg would bring fans, Jewish and gentile alike, to their feet in the 1930s, American icon Henry Ford published his deeply anti-Semitic Dearborn Independent. It was shut down in 1927 after a libel lawsuit, but Ford remained an influential figure in American life. In the face of such attitudes, it’s less than surprising that American Jews would flock to those figures who found acceptance in mainstream American circles. Before Greenberg stepped foot in the batter’s box, American Jews were celebrating the ascendance of legal scholar Louis Brandeis, for example. In a sense, whenever a Jew climbs to the heights of society, it shows that any Jew can be just as American as their next door neighbor. It’s that much better when a Jew does it and stays true to their faith, better still when mainstream America applauds that devotion. Of course, while Jews are proud of successful figures in law, politics, medicine, and scholarship, they hold a different appreciation for Jewish entertainers and sports figures. Brandeis evoked pride. So did Joe Lieberman when he became the first Jewish American on a major presidential ticket in 2000. Yet neither man approached the lasting mystique and popularity attached to Jewish sports heroes. Jewish major leaguers have received their own special baseball cards, courtesy of the American Jewish Historical Society, and it’s no one-time deal. They’ve been updated annually, and the sellout success of the 2003 edition prompted a weekend seminar on Jewish players at the Baseball Hall of Fame in Cooperstown. It’s further telling that in the summer of 2007 Israel inaugurated its own baseball league with legends of the Jewish baseball world at the helm. The aforementioned Art Shamsky was named manager of the Modi’in Miracle, while Ken Holtzman–holder of the most career wins by a Jewish pitcher in the majors–managed the Pioneers of Petach Tikva. Jews are proud of their ballplayers; sometimes treating them like modern variants of biblical icons, heroes in their community, legendary for their talents. Why? It would be easy to attribute this to the nebbish stereotype attributed to Jewish men. When one of them picks up a bat and clocks a ball into the upper decks, it is kind of like the spirit of Woody Allen just got knocked out along with the ball. Yet there was a time when Jews were pegged with athletic stereotypes. From the mid-1920s to the end of the 1940s, Philadelphia’s pro-basketball team was called the SPHAs, short for South Philadelphia Hebrew Association. Their team was made up primarily of Jewish players, but they weren’t the only such team. Jews filled the ranks of pro basketball all over the country. Pundits referred to the “chosen” players’ natural dexterity and sense of rhythm as well as their more intrinsic athletic ability. American writer Paul Gallico even went so far as to say basketball was a premiere sport for Jews because, “the game places a premium on an alert, scheming mind.” Such praise, if you want to call it that, was a far cry from Guest’s ode to Greenberg, but it did reflect a time when Jews were seen in much the same way minority and immigrant athletes were in later decades. Sports became a venue for poor, disenfranchised segments of the American population, such as Jews, blacks, and immigrants, to achieve a degree of upward social mobility. The athlete as refutation of the weakling stereotype may have something to do with Jewish sports fandom today, but it probably isn’t at the core of why Jews flock to Jewish sports stars. For that answer, you should look at what sports represents in American culture. 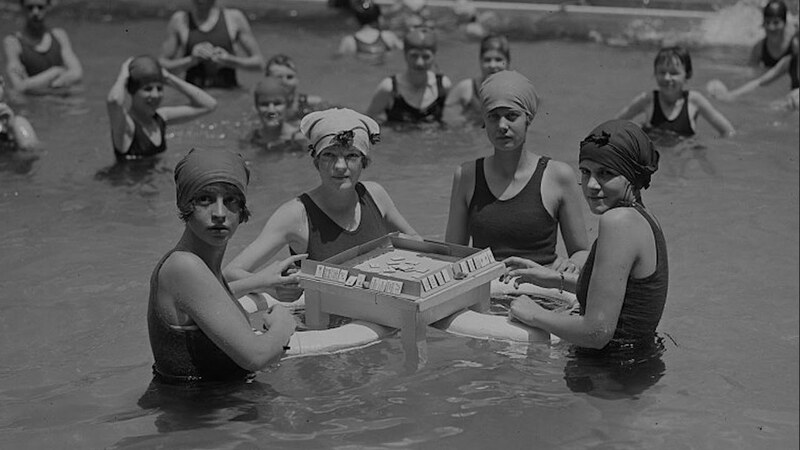 It has been called a democratizing force or “the American religion.” There is no doubt that for immigrants eager to assimilate into their adopted society, finding a connection to the American pastime seemed as sure a ticket as any other. He went on to point out the voluminous number of Jewish authors who wrote about baseball: Bernard Malamud’s The Natural or The Celebrant by Eric Rolfe Greenberg, for example. It was Roger Kahn who wrote The Boys of Summer, arguably the greatest baseball book ever written. Nevertheless, the connection between Jews and baseball has always been strongest at those moments when great players have put their Jewish identity ahead of their performance on the field. It’s hard not to look at Sandy Koufax in 1965, when he pulled a “Greenberg” and sat out the first game of the World Series, and see an American Jew reminding his people of the freedom and acceptance they enjoy in this country. Two decades removed from the Holocaust with the Civil Rights movement in full bloom, ethnic and religious minorities faced prejudice that seemed to boil over just as it was being confronted more forcefully than at any time in American history. Yet there was Koufax, steadfastly refusing to play in one of the most important games of his career. 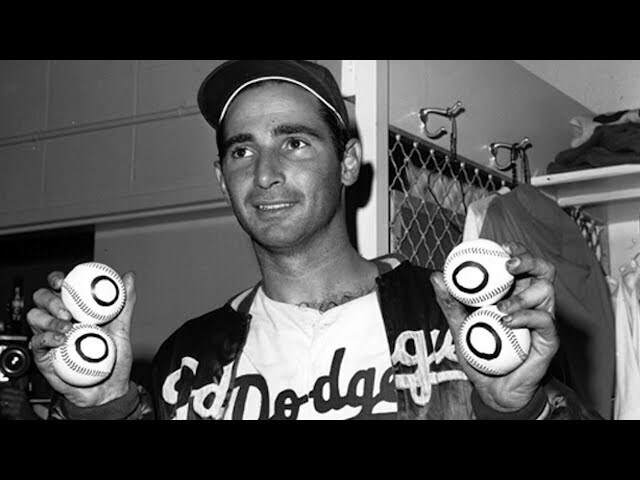 It should be remembered that Koufax came back and pitched a complete game shutout in Game 5. Two days later, on short rest, the Jewish legend retook the mound for the decisive seventh game. In arthritic pain, he beat the Twins. Then he collected his World Series MVP award and was named Sports Illustrated’s Sportsman of the Year. There is, of course, no single moment when the collective mass of Jewish citizens in this country became accepted as Americans. The waves of anti-Semitism have been reduced to ebbs and flows, and the affluence enjoyed by American Jewry dwarfs that of any time in the 3,000 year history of our people. There is not one day that marked that turning point, but many would look back at October 6, 1965 and see who wasn’t standing on the mound. Jewish sports fans certainly recall that day, and when they cheer for today’s Jewish stars– Kevin Youkilis, Shawn Green, Brad Ausmus, and others–they do so as accepted Americans. Jewish baseball played its part in that.